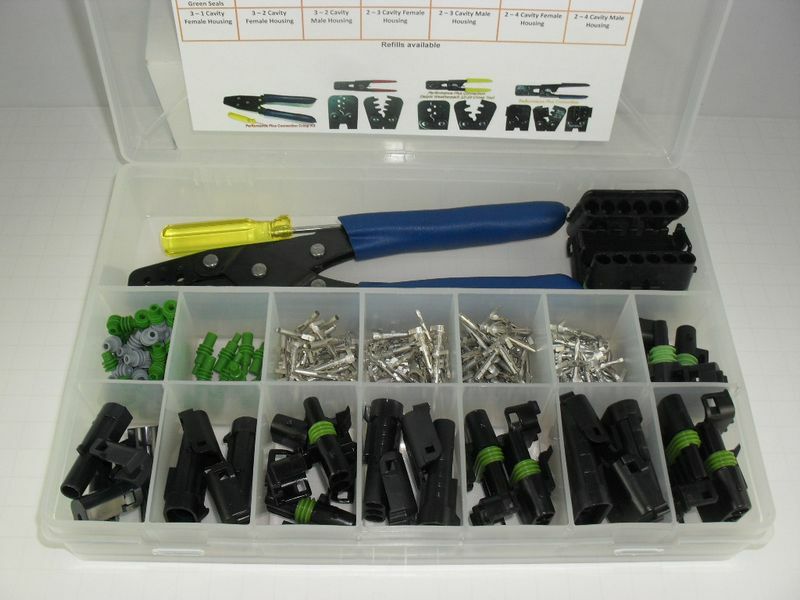 This kit provides everything (except the crimp tool and cavity plugs) to install a feed-thru bulkhead into a vehicle. 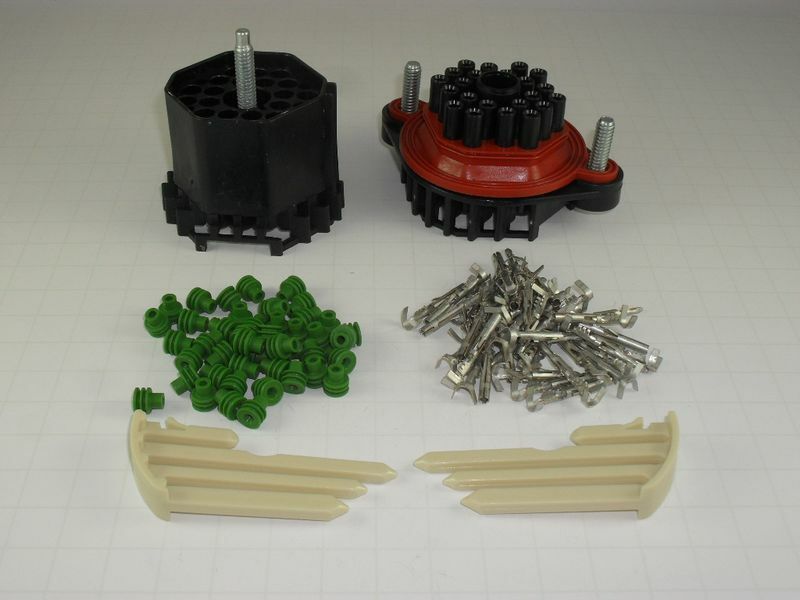 It is designed to mount through a circular opening using two 1/4-20 mounting studs. 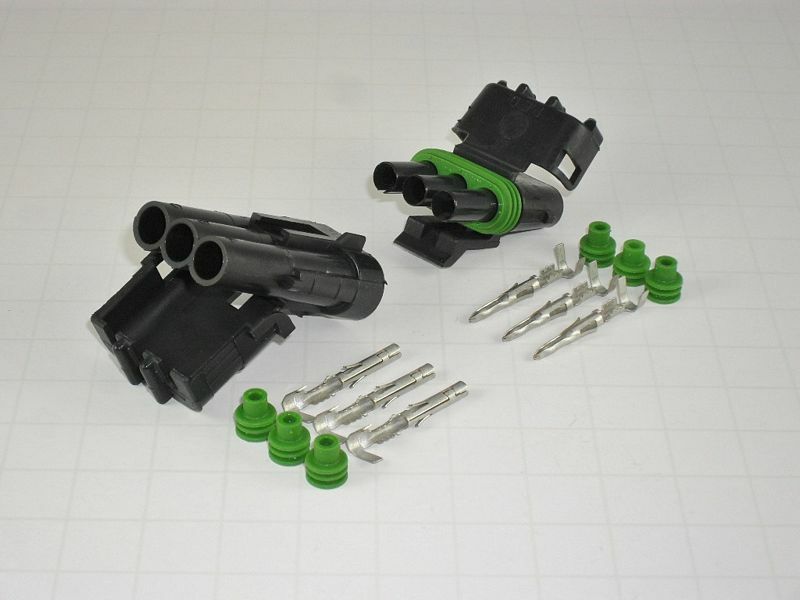 The bulkhead utilizes GM Weatherpack type terminals which incorporate individual cable seals. 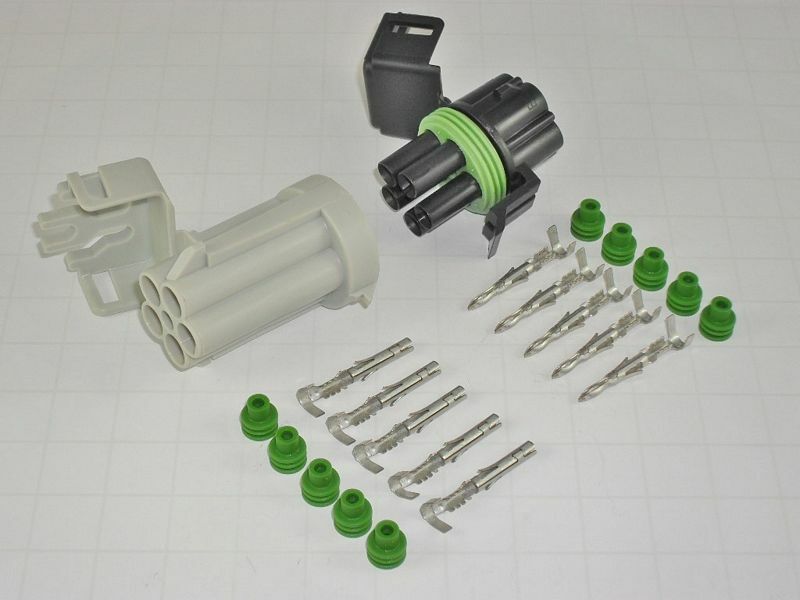 The flange side of the connector which mounts through the firewall sheet metal also incorporates a body seal, which provides full weather-resistant sealing to the connector system. 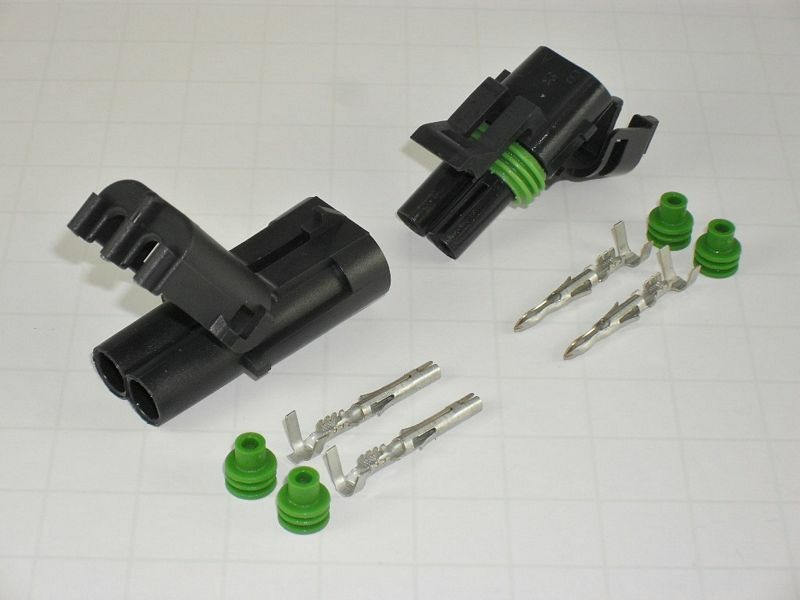 Once the connector is in place, the free-hanging connector attaches to the fixed receptacle using a threaded mount which is secured by using a ¼” hex socket. Requires 2-1/8” mounting hole and two 9-32” drilled mounting holes dimensioned as shown above. 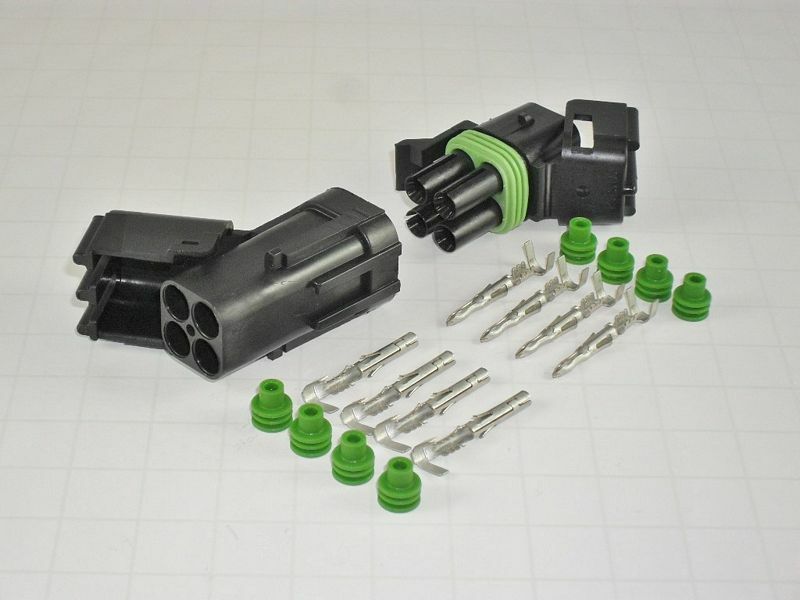 This item is unique in that you can neathly pass through a firewall or frame without being concerned about abrasion or not sealing well from the elements. An added feature is ith continues continuity of your wiring system as well as looks good.